> Sausage>Lomo>Acorn-Fed Iberian Loin (Lomo), Julián Becerro, 700 gr. Acorn-Fed Iberian Loin (Lomo), Julián Becerro, 700 gr. 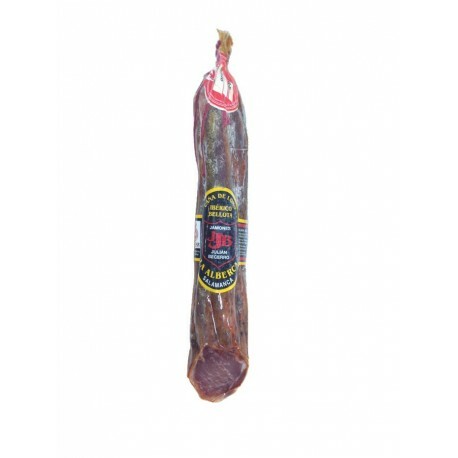 Latest customers reviews for Acorn-Fed Iberian Loin (Lomo), Julián Becerro, 700 gr. Muy bueno tanto el lomo como los otros productos. Entrega muy rápida. Half piece of Acorn-Fed Iberian Loin with an approximate weight 700gr vacuum packed. Produced in La Alberca, a village in Salamanca, by Julián Becerro. 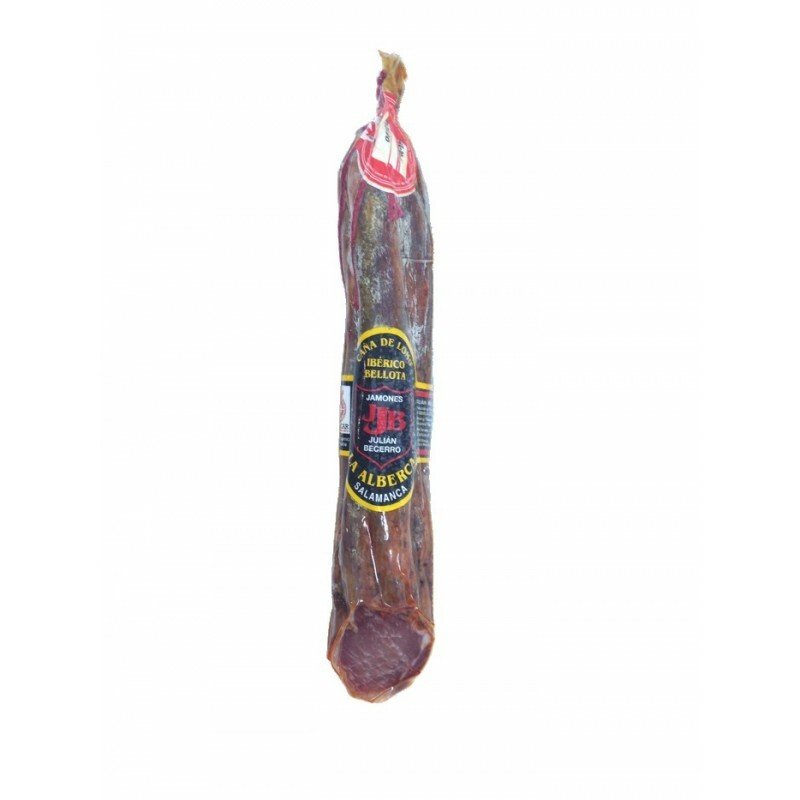 Made with iberian loin pork, salt, spices and conservatives. With excellent juiciness that you can intuit when you see the fat veins in each piece. Has a natural-based marinade of paprika and other spices that gives an intense and unique taste that once in the mouth will take you directly to the pastures. Definitely a sensational loin.